If you missed the contest done by Motonomous, your fault! But I didn't. All I had to do was to send a pic in action with my bike and I got lucky. 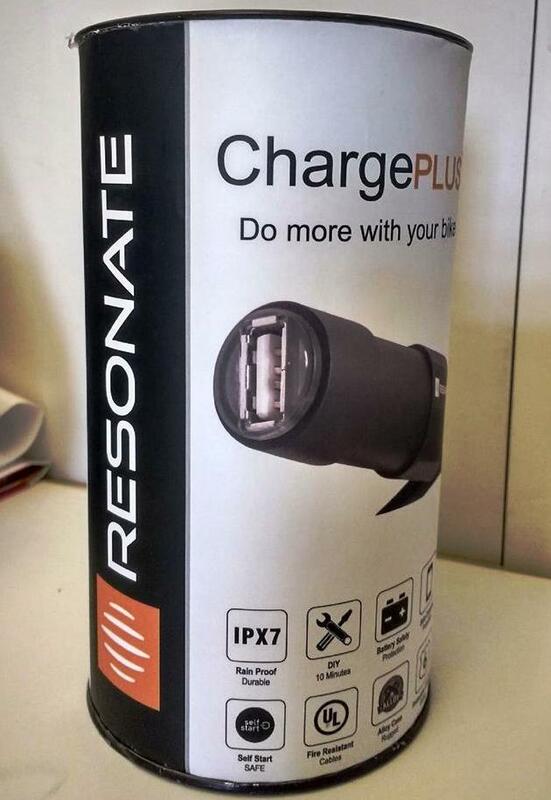 They sent me a cool Resonate Charge Plus USB charger for my bike. 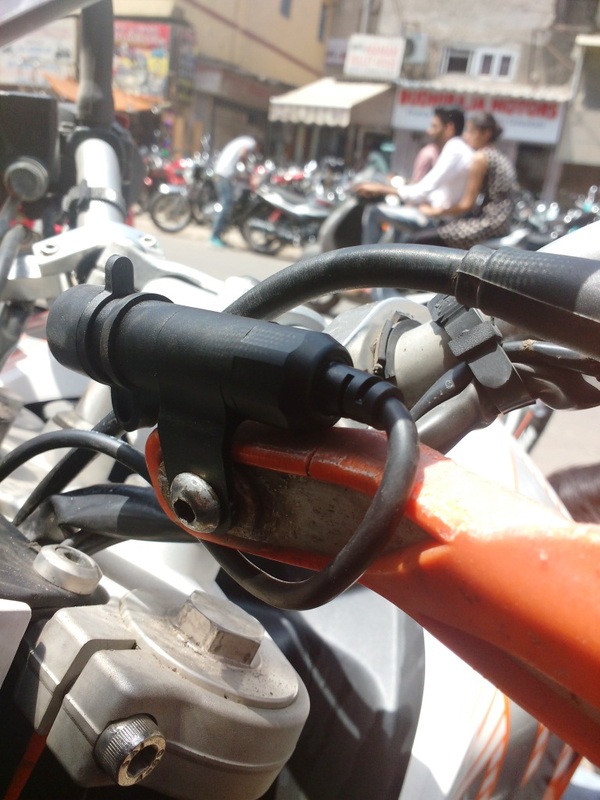 This cable is 3M which can be fixed on the bike with help of cable ties and cable holders provided. The purpose of such a long cable is that you can run it all the way upto your tent and run a wifi dongle, charge your GoPro or plug in a USB light. The cable is also heat resistant and all weather proof. 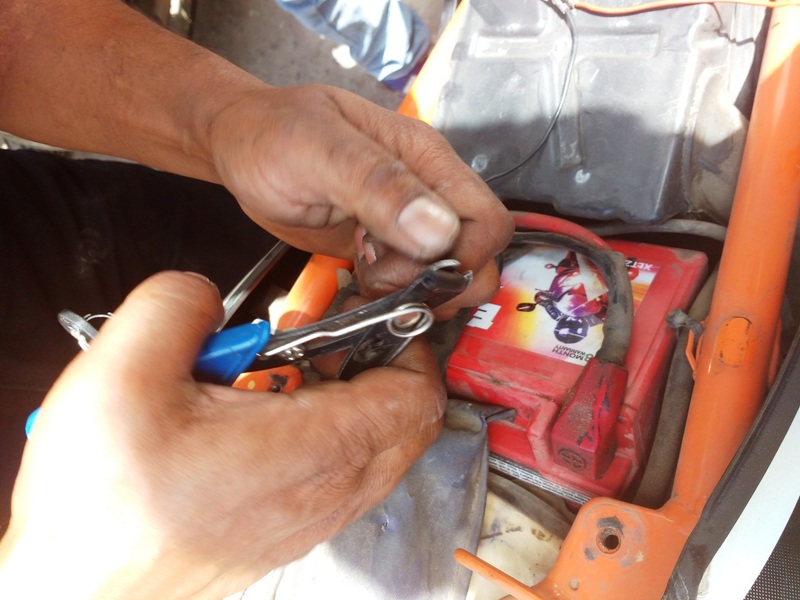 Place the main unit in the holder and put the terminal end of the main cable inside the bottom cap and close it. And that's it. We tested and the phone was charging! Usage is fairly easy, all you have to do is remove the cap and plug in the cable at respective ends. 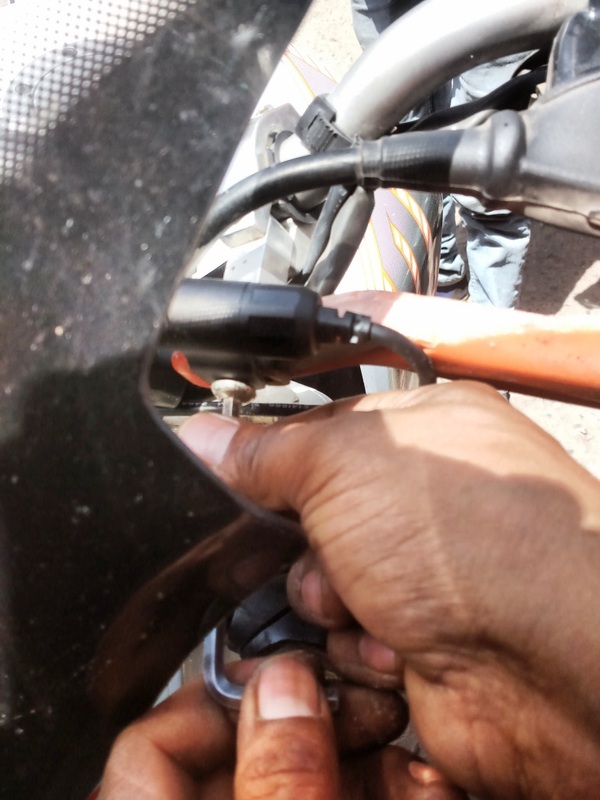 While riding, keep the phone in your pocket or a slider pouch on the tank. The charging cables (provided both for android type and for Apple devices) are small and you will have to use your own cable, unless you mount the phone also on the handle bar. 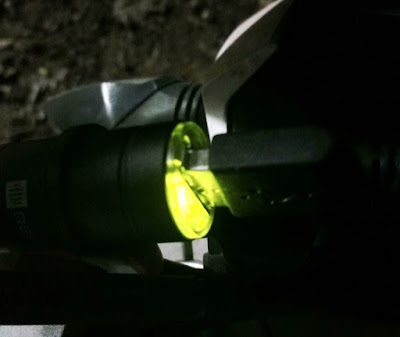 There is an LED light glowing while charging so its a visual indicator if the phone is charging after you keep it in your pocket and if the cable has gone loose. 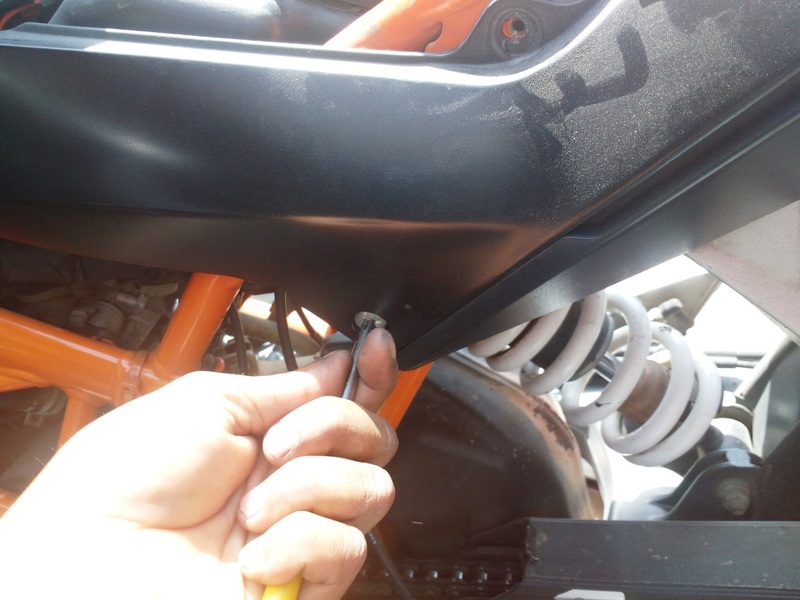 So as you can see because I wanted to hide the cables, I followed this method of fitting the charger/cables on my bike. The cable holders and cable ties are given for a purpose and depending on how you want it to be fitted on your bike, you can use them or not use them. Another point I would like to mention is that the above is a direct connection. 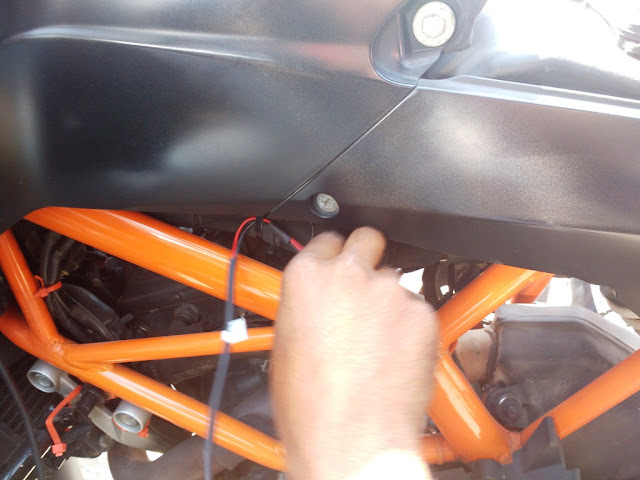 If you want, you can get an ignition connection too which means the charging will work only when the ignition is turned on. 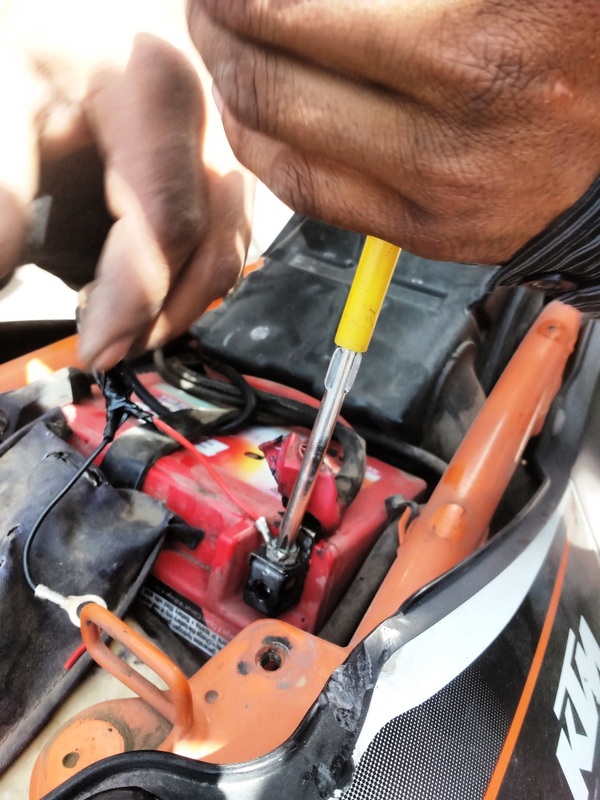 But I suggest you seek the help of a mechanic for that and do not try it yourself. The charger body is light weight so it does not affect the handling at all. Now, the biggest drawback is that the charging unit is NOT detachable. Which means you have to park your bike and leave it and go. Hmmm. 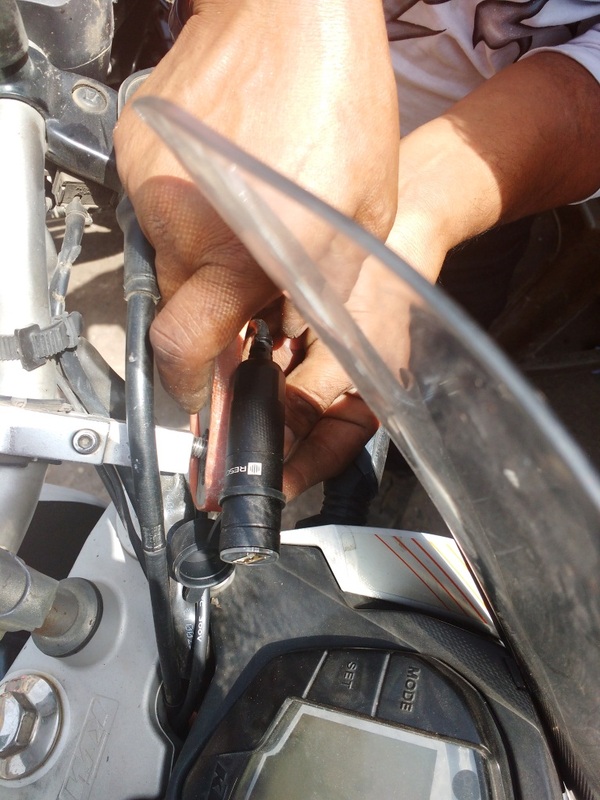 What can we do about that, I have given a direct to battery connection, anyone can come and charge their device when I am not near the bike and it will drain the battery. This might not happen every day and it sounds dramatic but it can happen. Guess I must work it this way. So to avoid this, you can give an ignition connection to the charger but please seek professional help for that. The other USB charger available for bikes in the market is the Bolt and as I read on the website, it is detachable types. 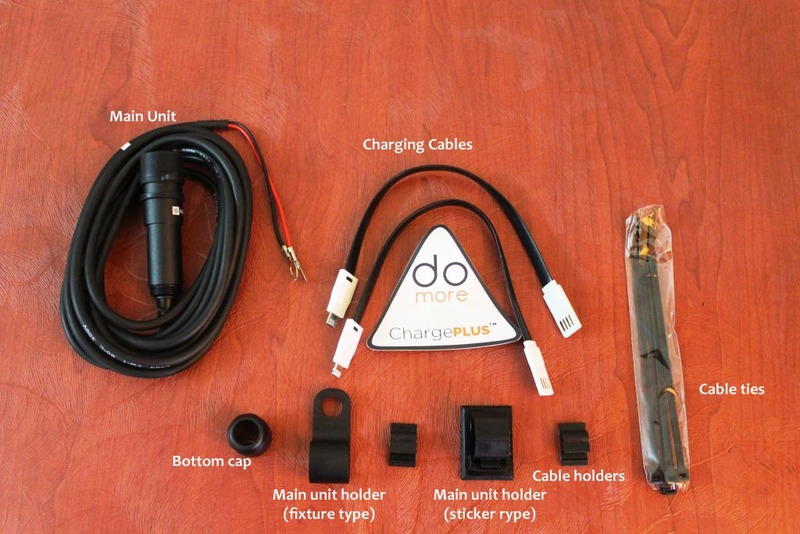 So Bolt charger has an advantage in that aspect plus its cheaper too (Rs. 1699, Resonate is Rs. 2799 plus delivery charges on Amazon). Both chargers claim to use an 'intelligent' charging system which does not affect the battery, I don't know what that 'intelligent' charging means. I just hope they are not more intelligent than me. 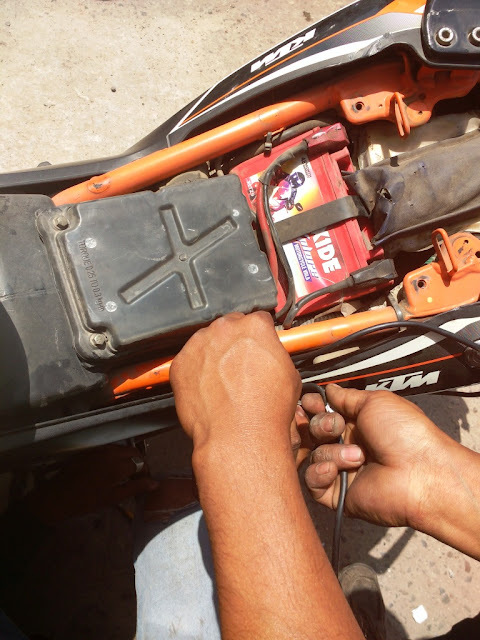 (Update: intelligent circuit means it constantly monitors voltage of the battery and at 12.1V cuts it off automatically, thus ensuring there is enough power left in the battery. Also it draws power only if there is load) I think rest of the functionality and things are same in both. Also there is another 'good quality' generic USB charger sold on eBay for Rs. 425 but I doubt its quality. Where Resonate gets a point or two over the Bolt charger is that the Bolt simply says 'all weather resistant' on its website whereas Resonate one is IPX7 certified waterproof. Which one will you trust more? 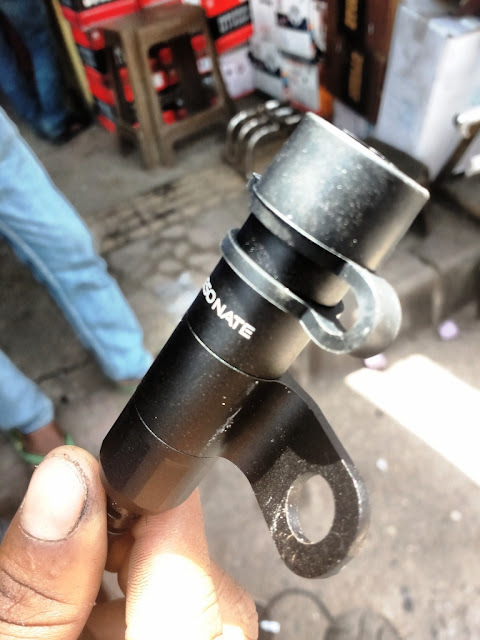 If this parameter is more important for you and you don't mind spending 1000rs. more then you know which one to go for. 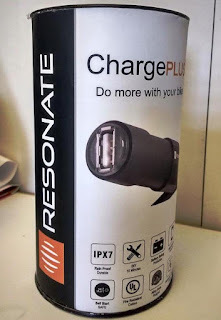 Clearly Resonate is more expensive but it can give you the peace of mind when it comes to using the charger in rains and wet conditions, The Resonate product clearly is a little expensive but for the good quality and peace of mind which comes with it, I think its totally worth it. This product comes with 1 year warranty. If you have any questions about this product feel free to ask in comments.